A high-quality speaker can do everything from making an exciting movie even more thrilling, to set a relaxing mood with soothing music after a long day at work. This Onkyo VC-GX30 Smart Speaker with Google Assistant has smart technology built right into it and is enhanced with elite audio. This clever speaker lets you multitask and still play whatever songs you want without you needing to free up a hand in order to use it. 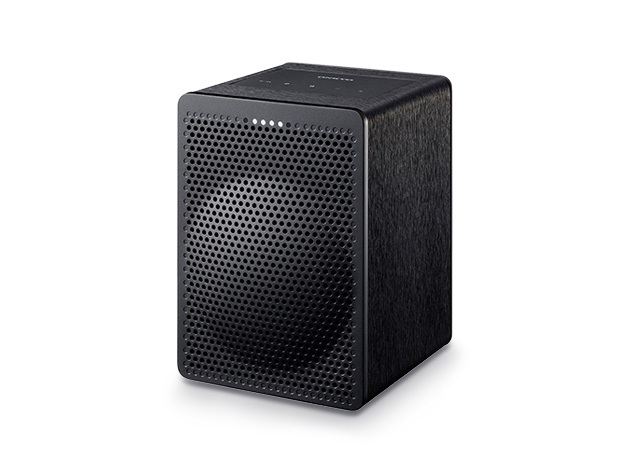 Just issue a voice command, and it'll play songs with crisp, clear audio through the custom amp and long-throw woofer. The premium, high-fidelity sound with 5Ghz/2.4Ghz Wi-Fi guarantees stable audio streaming, without dropping out on the sound or creating lag when you stream content. Plus, Google Assistant and Chromecast built-in allow for voice-automated media streaming to Chromecast-enabled speakers — and you can use the voice control for home automation, like turning lights on and off, and other smart home capacities. Even better, the audio quality can't be matched, with a custom woofer with a massive magnet and balanced dome tweeter for deep bass, rich mid-range, and clear high-frequency sound. And you can listen without any noise pollution, thanks to the efficient and powerful switching amplification system with noise reduction technology. You get two for one: an exciting speaker and smart device. Usually, this Onkyo VC-GX30 Smart Speaker with Google Assistant is $299, but you can get it here for $94.99.